Scala is the cultural umbrella association, representing all cultural student associations and aiming to strengthen the bond between them. If you are a student in or near Eindhoven interested in culture, this is the place to be! The Scala associations offer many different activities, ranging from dance to board games, from theatre to photography, and much more. In the Luna building, where Scala is situated, there is always something interesting to do. We hope to see you during our open culture weeks, the Luna Festival or at one of the associations’ activities and performances! Dekate Mousa is the student film and photography association of Eindhoven. We come together to have fun and practice our photography skills. Doppio is the student theatre association of Eindhoven. We believe: anyone can play theater. You too! 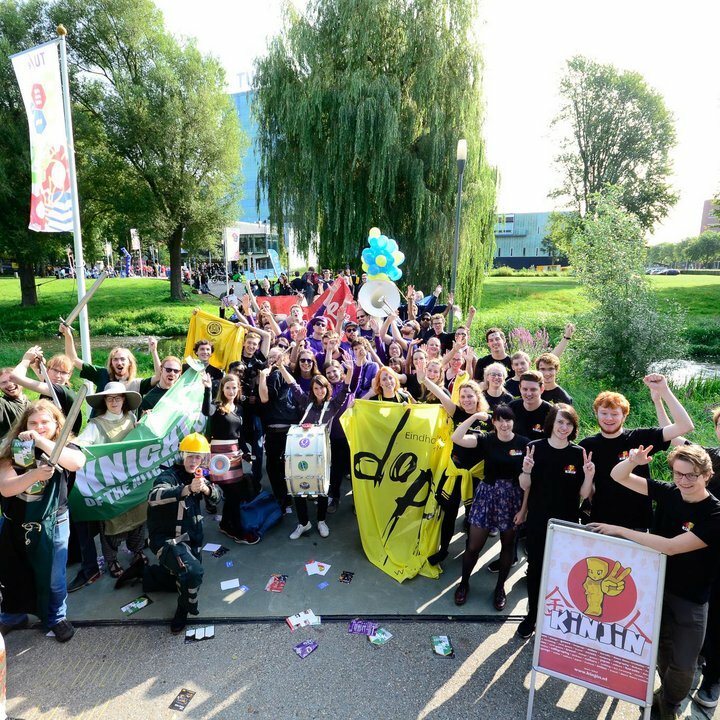 ESRG Knights of the Kitchen Table is The student tabletop and role-play association in the heart of Eindhoven. ESMG Modern is the association for students in Eindhoven who want to create and support popular music. Studentproof Jazz is the association for student jazz in Eindhoven. We welcome musicians and enthusiasts of all kinds of levels and genres.